JAMES OLSEN: A nervous kid starting out, James took the first real photo of Superman, soon gaining public recognition for being friends with him. In his late 20s/early 30s, Seeking to broaden his own horizons, James was asked by Superman to move to National City to keep an eye on his cousin, also accepting a job as CatCo Worldwide Media's art director. James is a smart, worldly and attractive photographer for CatCo. Though an alpha male, his salt-of-the-earth nature elicits a huge ol’ crush from Kara. James, played by Mehcad Brooks. 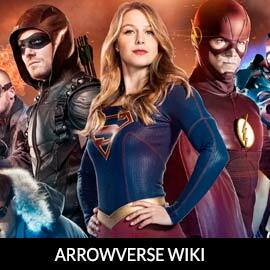 For more info on James Olsen, check out our partners at ArrowverseWiki.